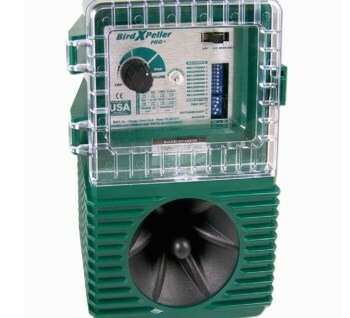 ELIMINATE PEST BIRDS FROM ANY AREA WITH NATURAL BIRD CALLS! 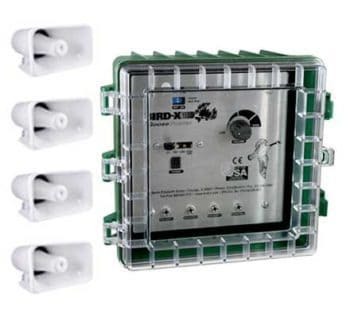 Sonic bird deterrent devices are easy to install, fully programmable and volume-controlled, and extremely effective. 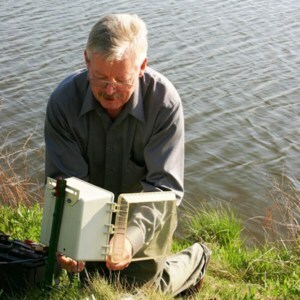 Broadcast sonic bird alarm calls and predator cries that condition pest birds to stay away from the area – one sonic device can cover multiple acres of land! 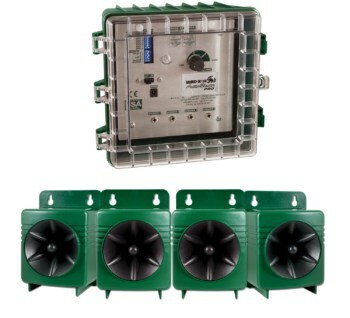 Our sonic products are designed to target specific species. Years of research and field experience enable us to deliver naturally recorded, species-specific distress calls. 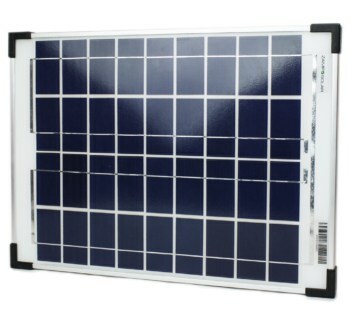 The sounds utilized are natural and highly effective. Many passers-by don’t even realize a sonic device is in use. You can select volume, interval timing and bird species according to your specific needs. 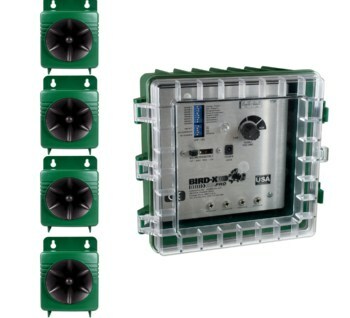 Sonic bird deterrents incorporate birds’ instinctive fear of danger to condition their behavior. 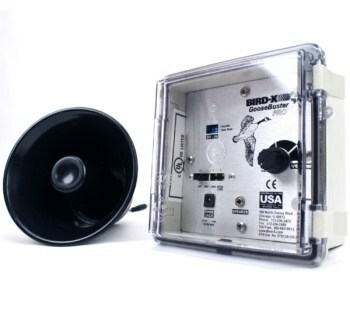 Through scientific research and collaboration with wildlife experts, Bird-X has developed state-of-the-art audio of bird predator, distress, alarm, and alert calls. 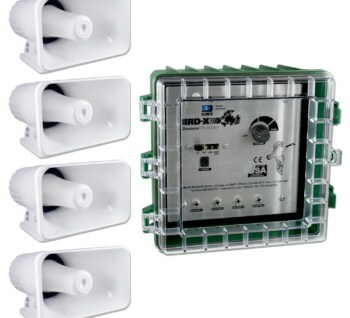 Our sonic bird control devices broadcast threatening recordings, telling birds within range to steer clear of the area. Property managers must keep facilities safe and free of health hazards. 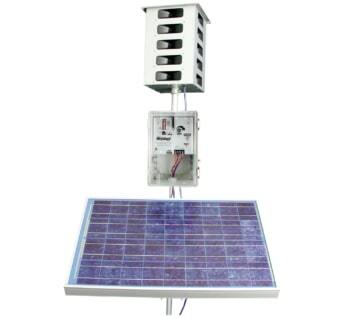 Pest birds and their droppings create unsanitary conditions, and are the cause of hefty cleaning and repair costs, liability and accident risks, along with contamination and disease. 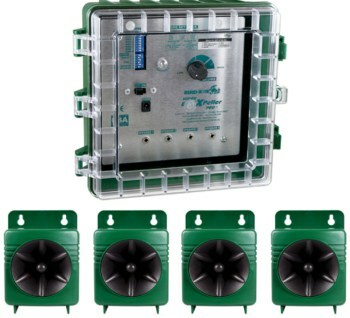 Using naturally recorded sonic bird distress calls and predator cries keep birds and their mess away from any facility, corporate campus, or residential property.